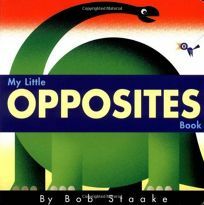 Steve Lavis looks at animals foreign and domestic with two Peek-Through Board Books. On the Farm follows the wooly sheep as he searches out who has eaten its breakfast. As each page is turned, more animals become visible through the die-cut spaces. The culprits are found behind the tractor. In the Jungle follows the same format, only this time a crocodile is in hiding. ""Here I am!"" shouts the crocodile on the last spread. Then he asks, ""Who wants to hide next?"" ( Apr.) Copyright 2001 Cahners Business Information.